Welcome to Kern and Burn's 100 days of design entrepreneurship. We invite you to dream, to discover, and to be inspired with us. Each day, for the next 100 days we will post a bit of inspiration about design entrepreneurs and their projects. Follow along with us as we dream, discover, and get inspired by designers who find a way to turn personal passions into fulfilling careers. It’s an exciting time to be designers, and we are excited to be alive. 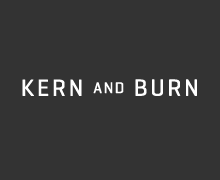 Learn more about Kern and Burn here. If you’re a designer interested by the possibilities available to you, please sign up for our mailing list below and fill out our survey.